An article published in the journal “Physical Review Letters” describes the simulations of the evolution of globular clusters of the type commonly found in galaxies to assess the possibility of black holes mergers. 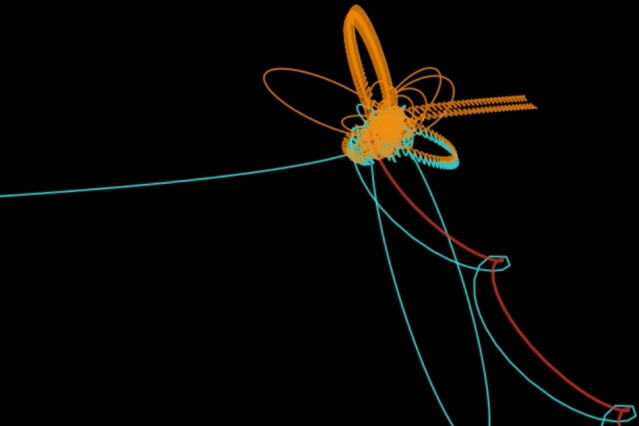 A team led by MIT astrophysicist Carl Rodriguez used the Quest supercomputer at Northwestern University to simulate 24 clusters with different characteristics, also calculating relativistic effects, concluding that repeated mergers can occur, forming black holes more massive than the stellar ones. The interest in black holes mergers increased enormously over the past two years, after the LIGO experiment announced the detection of gravitational waves generated by that type of event. It opened the door to a new branch of astronomy and confirmed the existence of binary black holes in which two objects that are the remains of two massive stars exploded into supernovae get gravitationalally bound until they merge. A better understanding of these pairs’ formation can also help the development of the new gravitational wave astronomy and Carl Rodriguez’s team tried to assess the probabilities of finding them in globular clusters. Those are a type of star cluster with a vaguely spherical shape with a relatively high star density at its center. These clusters are held together by gravity and form an almost autonomous group within their host galaxy in which they are considered part of its halo. The choice of globular clusters is also due to the fact that they seem to be very common: in the Milky Way alone there are over 150 of them and it’s plausible that more of them are hidden from our view, the Andromeda galaxy could have even 500 of them, the most massive galaxies maybe even 10,000. In short, the amount and characteristics of globular clusters make them perfect for research on interactions between black holes. Globular cluster simulations were already created in the past, this time the effects of Albert Einstein’s general relativity were also included. The problem is that normally in the interactions among celestial objects the results obtained thanks to Isaac Newton’s classical gravitational theory are precise enough but when black holes are involved relativistic effects become significant. Carl Rodriguez explained that gravitational waves can make the difference when two black holes pass close to each other. At that moment those waves are emitted and this subtracts enough energy from the system to create a bond between the two black holes. This means that they need to take that relativistic effect into account to obtain a correct simulation. The 24 simulated globular clusters contain between 200,000 and 2 million stars with different densities and composition. The simulation spans 12 billion years following the evolution of stars and of the black holes that form over time. 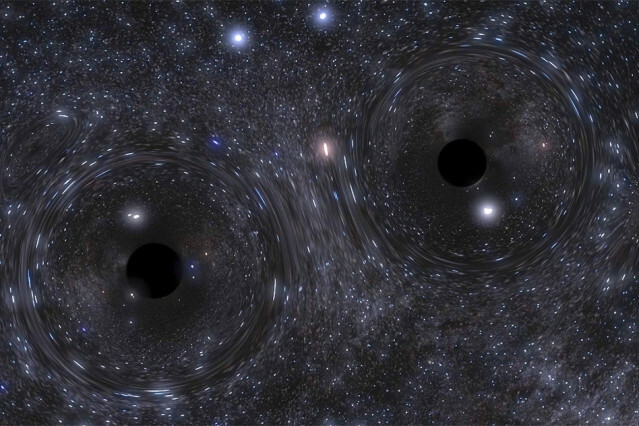 The result is that pairs of black holes start merging and subsequently meet other black holes with further mergers. According to the researchers, these “second-generation” black holes can have masses between 50 and 130 times the Sun’s, much higher than the mass of a normal stellar black hole. This result is purely theoretical but the bet by Carl Rodriguez’s team is that within the first 100 detections of the LIGO/VIGO collaboration one of the black holes involved in the merger will be the product of a previous merger.